Mercedes-Benz GLA Performance, Engine, Ride, Handling | What Car? Every GLA now comes with 'comfort off-road' suspension as standard (aside from the GLA 45, which gets a lowered AMG-specific suspension). Adaptive dampers that allow you to stiffen or soften the suspension are an option but only on AMG Line and GLA 45 models. Even with the adaptive dampers, the GLA rides bumps in much the same way as the previous GLA – which is to say, not particularly well. 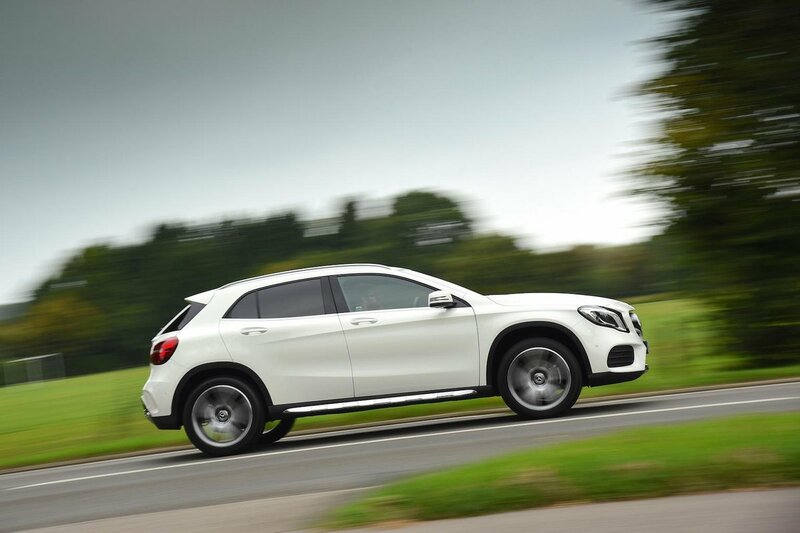 With the suspension in its most comfortable mode, the GLA feels too loose over crests and dips. It's better controlled in Sport mode, but then becomes very fidgety over rough surfaces. We’ve also tried a GLA with comfort off-road suspension and were left equally unimpressed. Urban ruts and bumps cause the GLA to shimmy uncomfortably, while even a smooth-looking motorway will have the car bobbling around. At least it doesn’t feel too baggy over humps and compressions. 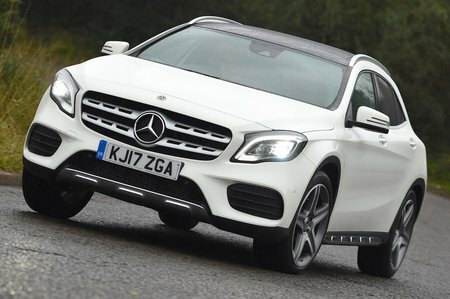 However, grip is good enough that you can swing the GLA through corners with confidence and you only need to go for four-wheel drive if you’re adamant you need all-weather peace of mind or extra towing capacity (four-wheel-drive models will tow 1800kg compared with the 1500kg that regular front-wheel drive models can manage). What does let the GLA down is its steering, which is unnervingly vague when you begin to turn in to corners. However, at least body lean is kept reasonably in check regardless of suspension type. Diesel buyers have a choice between two 2.1-litre engines (badged 200 d and 220 d respectively). The former has 134bhp and is our favourite, mostly thanks to its low running costs. It is a bit slower than equivalent rivals, but is flexible enough to satisfy most drivers. The 220 d is noticeably punchier and gets four-wheel drive and a seven-speed automatic gearbox as standard (so is a lot more expensive). Petrol options include a 1.6-litre or 2.0-litre engine, badged GLA 200 and GLA 250 respectively. The 200 unit gets a six-speed manual gearbox and front-wheel drive as standard. It can be specced with the automatic gearbox, although it’s the only engine not available with four-wheel drive. The engine delivers brisk enough performance, although you do have to rev it quite hard to get the best from it. The four-wheel-drive, automatic GLA 250 feels much more rapid, but isn’t as fun as you might hope given the hefty price. All of the engines are quite hushed at a steady cruise, but the diesels are rather vocal even under moderate acceleration. Road and wind noise are likely to be the more annoying aspect on a long journey, though; an Audi Q3 is much quieter. The GLA 45 AMG is a big step up from any other GLA. Its 0-62mph sprint of sub-5.0sec puts it in an exclusive club of super-fast small SUVs, with only the Audi RS Q3 a direct rival. It feels as explosively fast as the figure suggests, too, and its bespoke suspension and steering set-up means it handles with much more bravado and poise than the standard cars. It’s good fun, but it’s still tricky to justify given the eye-watering price.